So, I was out at a local toy store (actually on the hunt for a Tamagotchi - but apparently, they’re no longer a thing in Australia) and found this glorious object on a clearance rack. 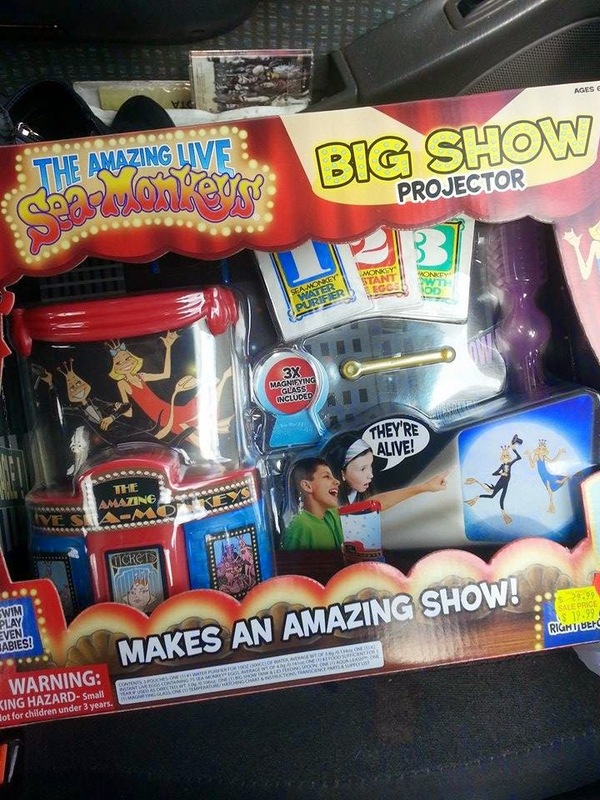 For $19.99 (AUD) I now have Sea-Monkeys! I used to have these when I was younger, and would watch them for literally HOURS. Fascinating little bros with beards, and fat mumma monkey’s with their little egg pouches. So, this, was an investment in my happiness (as I’m convinced all of my spontaneous purchases are…). This particular set, is called the ‘Big Show Projector’ Sea-Monkey kit as you put batteries in the bottom, sit it a few feet away from a wall and VIOLA - it projects your tank magnified onto the surface. Let’s see if it lives up to it’s exciting box claims!